We all know weddings are expensive. But you don’t know just how expensive they are until you actually start planning one. All of a sudden we’re talking about thousands of dollars for flowers. And dresses. And tablecloths. Before you know it you’re spending as much in one night as you would on a car. And you can’t drive away in your wedding! 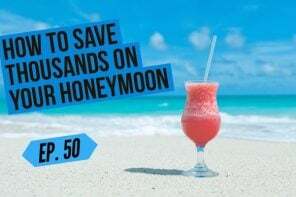 While the average wedding budget in the U.S. is around $35,000, we get a ton of e-mails from brides who are working with budgets that are anywhere from a few thousand dollars to a hundred thousand. Every bride (and every budget) is different, but the problem is that–let’s be honest–it’s much easier to plan a $70,000 wedding than a $7,000 one. So our goal is to help those of you with a lower budget have the wedding of your dreams! 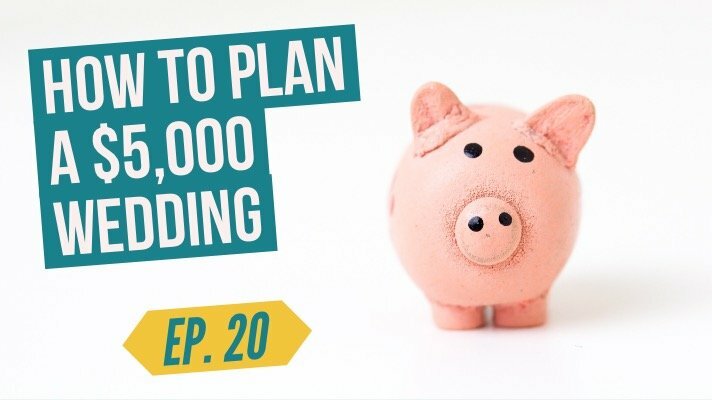 On this episode of The Woman Getting Married Podcast, we break down how to plan a $5,000 wedding without feeling like you’re sacrificing style or substance. 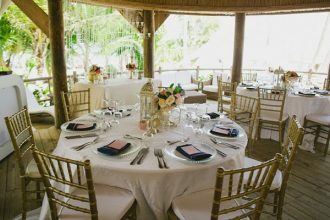 From the best wedding venues to look for in your budget to where to find a great wedding dress that doesn’t cost a fortune, we share our 11 favorite tips for planning the wedding of your dreams without planning for all the debt. PLUS: We talk about the latest wedding news AND share our weekly round of wedding hashtags! Listen and see if you made the list. And as always we LOVE hearing from you, so please be sure to reach out via e-mail at hello [at] womangettingmarried.com with any comments and questions. Love the podcast? Be sure to leave us a comment and rating! If you send a screenshot of it I’ll personally send you my favorite wedding planning tips!